Saving money doesn’t have to mean giving up everything you enjoy. In fact, there are some simple and easy things anyone can do to save money. 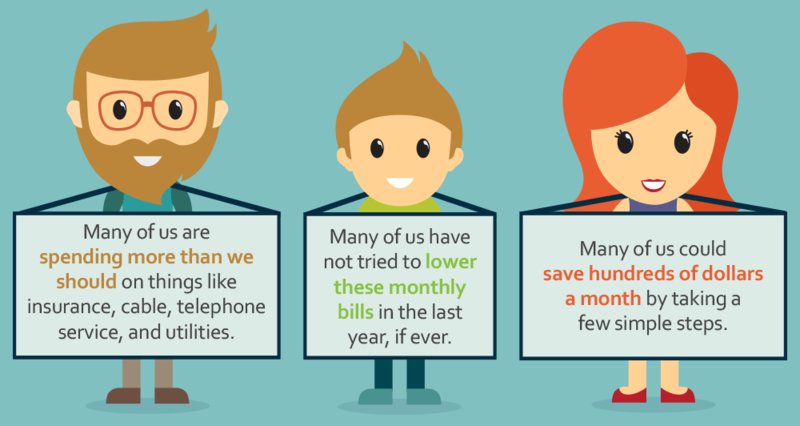 A lot of people are spending way too much money on their bills and everything else. 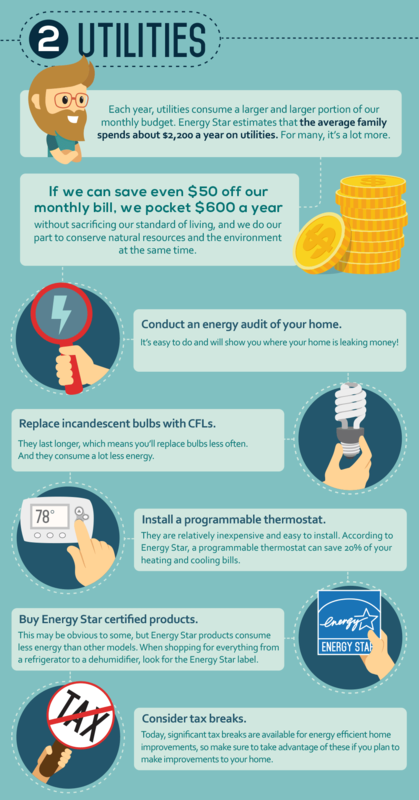 Fortunately, most families can save a significant amount of money each year simply by taking a closer look at their monthly bills, doing a bit of online shopping and replacing their light bulbs. 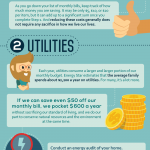 Here are a few simple things to look at that could save you a substantial amount in the long run. These three easy ways to save do not require a lot of work. The first step to savings comes from writing in a notebook or spreadsheet the average monthly bills. This needs to include bills paid on an annual or every-six-months basis, like auto insurance and life insurance. Look at all your monthly bills and ask if there is any way they can be reduced. For instance, installing high-efficiency light bulbs can reduce electric bills. Next, decide which services are not needed. Hundreds of dollars a year can be saved by dropping cable service or by moving to a more basic version of it. Eliminating a lawn-maintenance service or other services can save too. If a service is wanted, see if there is a less expensive provider. Don’t be afraid to shop around. The savings from these decisions can add up. Eliminating $5, $10 or $20 in expenses at a time can create enough savings that there is a noticeable difference by the end of the year. Want to spend less heating and cooling? Upgrade the thermostats. Programmable thermostats can help regulate when the heating and cooling turn on and off. These handy devices can save families up to 20 percent a year on heating and cooling bills according to Energy Star. The thermostats are not expensive and pay for themselves quickly. Replacing inefficient incandescent light bulbs with CFL bulbs further cut energy costs. CFL bulbs last longer than incandescent bulbs, meaning less money is spent on replacing burned-out lights. Reducing the wattage on light bulbs reduces costs as well. Energy Star-certified products – which are guaranteed to consume less energy – and may qualify for government tax breaks, are another way to save on utility bills. Federal and state governments offer tax breaks for homeowners who install solar panels, geothermal heating units, low-flow plumbing fixtures and other green products. Search out and take advantage of these tax breaks and start saving. Finally, use find free (not pirated) software that can accomplish the same tasks as more expensive software programs. Google’s free applications, from text editors and email to business applications, can save thousands compared to the others. Locate the lowest-cost insurance policies and the cheapest gasoline in their area. 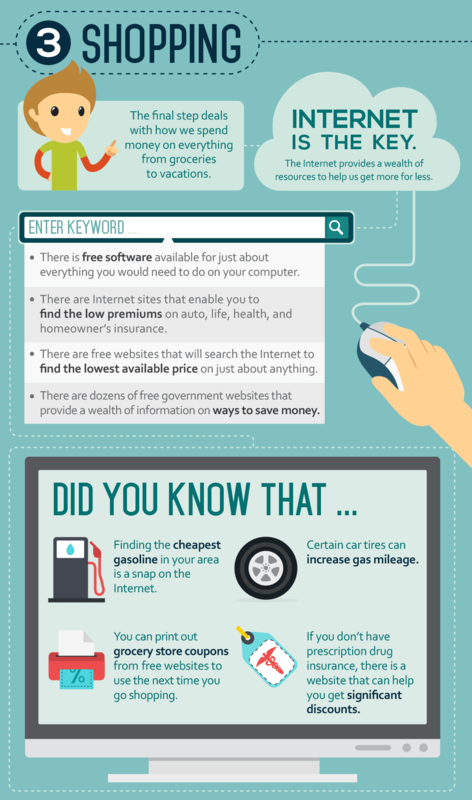 Browse government sites that provide information on ways to save money on everything from vacations to heating homes. And they can log on to a variety of websites to print out coupons that they can then take to their local grocery store. Saving money doesn’t have to be a chore. And it doesn’t have to change the lifestyles to which many have grown accustomed. Thanks to the Internet and some common sense, financial relief is possible.